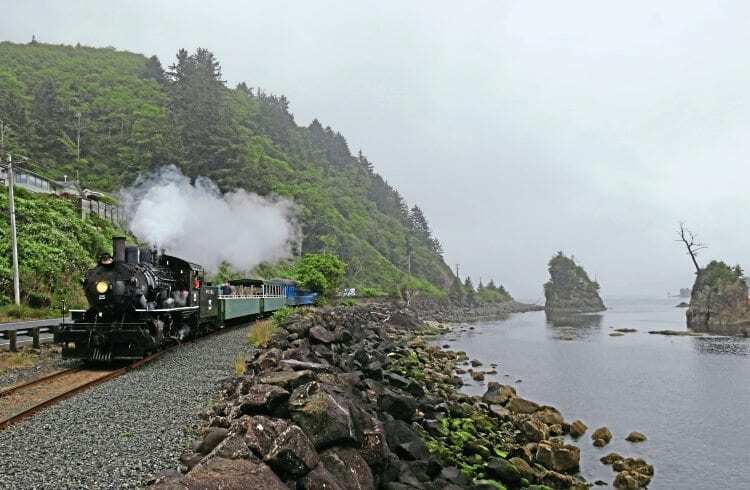 PLANS to transfer the railway line along the Pacific coast of western Oregon to a new Intergovernmental Agency has put the future of the Oregon Coast Scenic Railroad in doubt. The proposed project would see the construction of a cycle and hiking trail on parts of the old railway between Tillamook and the Salmonberry Canyon. The Oregon Coast Scenic is one of the few daily standard gauge steam operations in the USA, normally operating from its base at Garibaldi (north of Tillamook) to Rockaway Beach, around five miles to the north. The line continues to Batterson, which has occasional services operated to and from Wheeler in the autumn, and then on to the Salmonberry Canyon, although no trains have operated in the canyon in recent years.